Crocs are so easy to keep clean with the little ones! 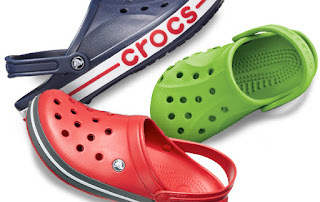 Hurry over to Crocs where you can save 50% or more on select shoes for the whole family. Plus, you can also save an additional 15% off clogs when you use promo code EXTRA15 at checkout through September 25th. Grab any of the styles above for just 12.74! You can also use promo code SAVE10 to save $10 off your purchase of $50 or more OR use promo code SAVE20 to save $20 off your purchase of $100 or more. Shipping starts at $4.99 or score free shipping on all orders over $24.99!